Free 1-On-1 Immediate Breakthrough Call! Enter your information below to receive your free PDF of "Freedom In Four Steps." Listen to "The Magic of Mindset with Marie" on Spreaker. The Magic of Mindset goes back to the basics on developing and maintaining a magical state of mind despite obstacles, setbacks, or traumatic events. As a bestselling author, national speaker and sibling survivor of domestic abuse, Marie is the self-proclaimed poster child for moving mental mountains. The magic is in the mindset. This podcast will provide a medley of simple, yet effective personal development strategies we can incorporate into our daily lives with minimal effort. It will include in depth conversations with those who have tapped into this magic and experienced massive transformation in all areas. You don’t want to miss it. “Create Your Fate” is about taking those painful obstacles in life and turning them into opportunity: the opportunity for forgiveness, the opportunity for gratitude, the opportunity for growth. It is about moving past adversities and setting a course for transformation—one step at a time. Marie shares her journey to breakthrough and the path she took to create her fate. Why live a life shackled by fear, insecurity and guilt, when you can break free and live intentionally? You can create your fate. And Marie’s powerful presentation will provide you with concrete personal development strategies to do just that. Create your fate! Our habits and behaviors are controlled by a consistent pattern of thoughts–the mindset. Just like it sounds, the mind becomes set and consistently works either for us or against us. 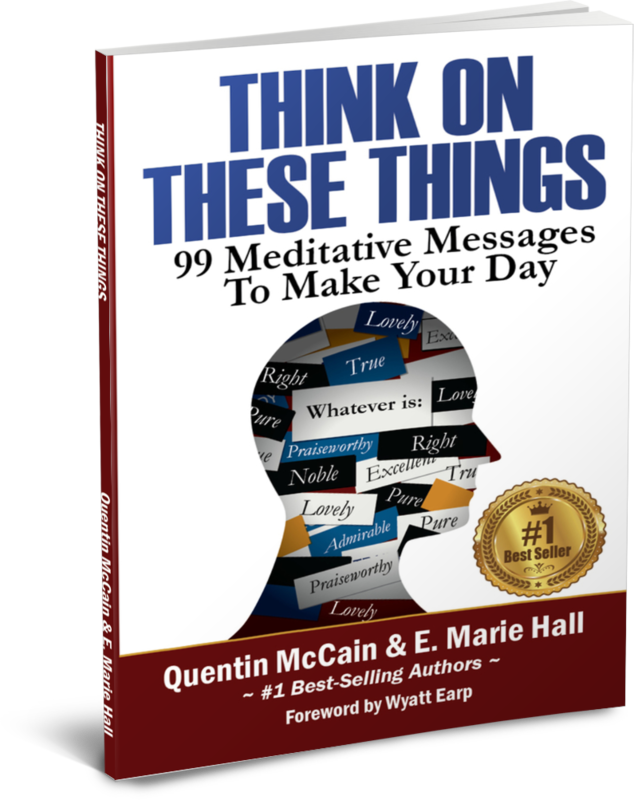 Mastering the Mindset is a workshop designed by mom and son speaker team and bestselling co-authors Quentin McCain and E. Marie Hall. This program was created to promote lasting transformation by analyzing and changing the habits that hold us back. Participants will engage in fun, interactive activities that promote visualization, goal-setting, and maximum mental performance in an effort to start mastering their mindset. Marie knows how to connect with audiences to inspire action that leads them to life changing decisions. 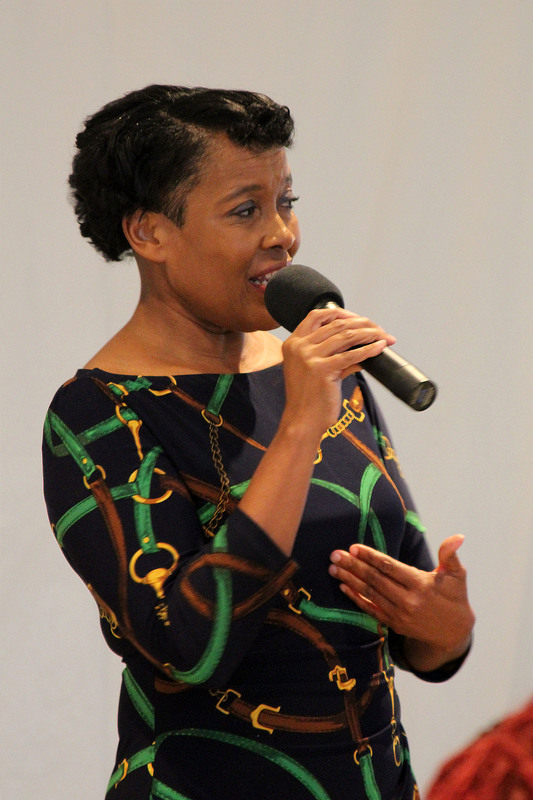 She is a passionate speaker who captivates the audience and delivers a powerful message of overcoming obstacles. She attended the first ever Senate hearing on Women and Violence, and has shared her powerful message with members and staff of Congress in Washington, DC. She was a discussant in the “Protect All Women” tour and has delivered her “Create Your Fate” message across America. Like the many in the audiences she speaks to, Marie understands what it is like to struggle through life. Born to a father who abandoned her and 24 siblings, she dealt with deep feelings of abandonment throughout her childhood in spite of being adopted by her aunt and uncle at the age of two. Marie experienced further trauma at the age of 12, when she lost her birth mother to domestic violence. Fourteen years later, she would lose her sister to the same tragedy. For years, she would carry the weight of these tragedies and the crushing belief that she too might one day be a victim of domestic violence. It wasn’t until many years later that Marie would discover the power of personal development and begin her journey to breakthrough. Through intense study of personal development practices and strategies, she discovered a powerful truth that would change her life and the lives of the countless individuals across America to whom she now delivers her message of hope—that we all have the power to create our fate. With this newfound knowledge, Marie spent several years as a member of the Speakers’ Bureau for the Arizona Coalition to End Sexual and Domestic Violence. Today, she uses her personal struggles to show audiences how to overcome trauma and find their power to create their fate.